Properties in Anderson average 4.8 out of 5 stars. Beautiful Lake Keowee Getaway In The Heart Of South Carolina's Oconee County! Property 15: Beautiful Lake Keowee Getaway In The Heart Of South Carolina's Oconee County! 3-074S - Songbird@Carters Ferry * Sleep 6 * Private Covered Dock * WiFi * PET? Property 18: 3-074S - Songbird@Carters Ferry * Sleep 6 * Private Covered Dock * WiFi * PET? Beautiful 4/3, covered Dock, 2 Large Covered Decks, 130+ reviews, 4.75 rating! Property 19: Beautiful 4/3, covered Dock, 2 Large Covered Decks, 130+ reviews, 4.75 rating! 30 minutes to Clemson! Large lakefront porch with beautiful view. Kayaks. Pool. Property 21: 30 minutes to Clemson! Large lakefront porch with beautiful view. Kayaks. Pool. Property 25: spacious lakefront home! Prince's Palace...Just What the Doctor Ordered! Rest, Relax & Have Fun!! Property 28: Prince's Palace...Just What the Doctor Ordered! Rest, Relax & Have Fun!! Great Lake Hartwell Home with deep water access and quiet cove. Property 33: Great Lake Hartwell Home with deep water access and quiet cove. Beautiful house on Lake Hartwell! Water year round! Property 38: Beautiful house on Lake Hartwell! Water year round! Quiet Lakefront Retreat - Dog Friendly! 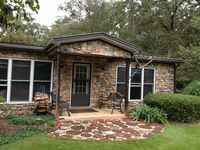 Property 42: Quiet Lakefront Retreat - Dog Friendly! On Lake Hartwell in SC - 3 Bedroom Lake Front Home with Hot Tub! Property 46: On Lake Hartwell in SC - 3 Bedroom Lake Front Home with Hot Tub! Everything was perfect. We enjoyed our stay!